One of the most unique features about Nita Foods, Inc. is our packing operation. 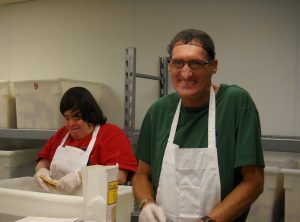 Since April 2005 Nita Foods has partnered with Foothills Gateway, a local Larimer County agency that provides services for individuals with cognitive disabilities. This partnership has truly been a win-win situation. 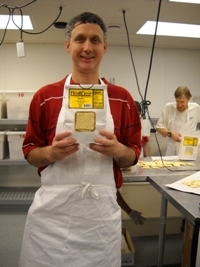 Our flat-breads are ably and efficiently hand-packaged and boxed for shipment by a packing crew from Foothills Gateway. Nita Foods provides gainful employment to these loyal and hard working individuals.